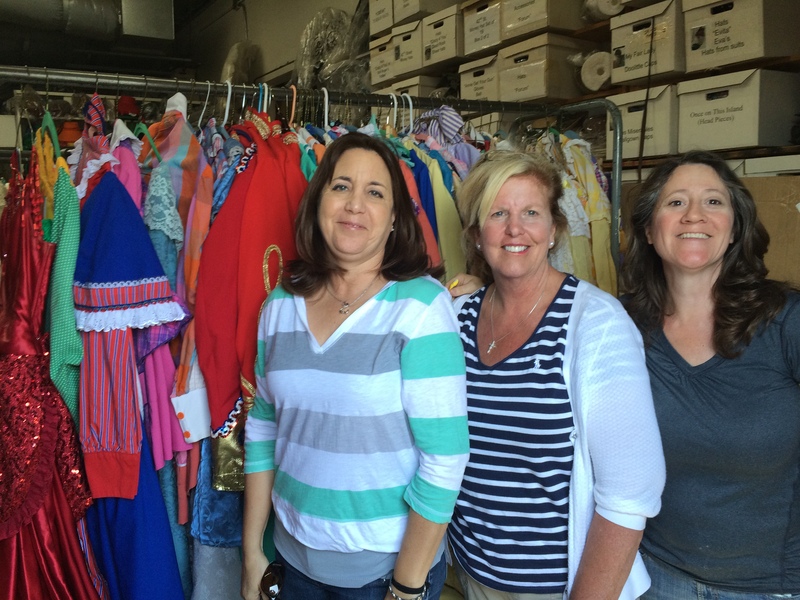 Three moms met at the High School, loaded a couple hundred costumes into their SUVs, then blew out of San Diego for the 100+ mile trek to Upland. A couple hours later, they were unloading, chatting as they worked quickly. Speeding through the costumes, maternal instincts motivated these women, for they all had either children participating in holy services at school or children home from college. Nothing gets done more quickly than tasks done by moms with the desire to see their kids, no matter how old these children are. Before completing the “dump and run” return, they learned that one of the owners has been “involved in theater for about 429 years and could make a set out of toothpaste.” Believe it! The Theatre Company was a great place to work with for organizations on a tight budget. 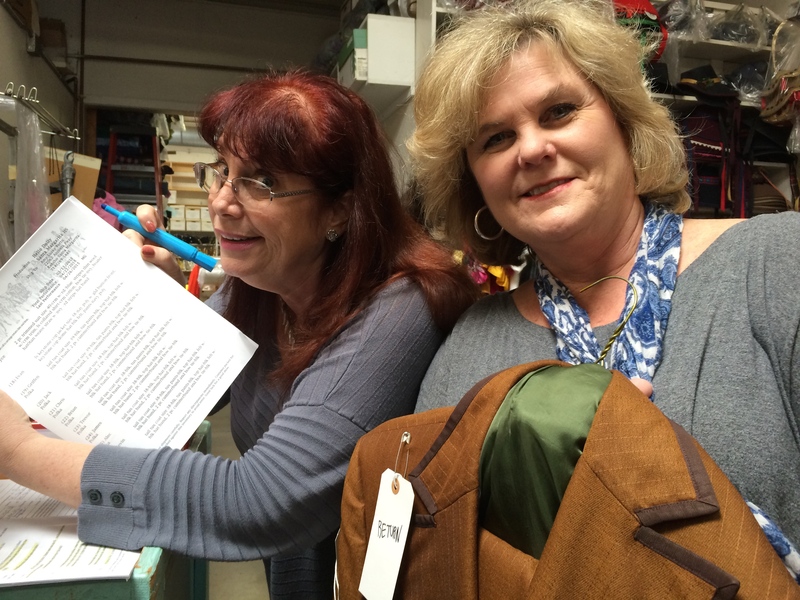 The Theatre Company in Upland, California was a long drive for the three of us, but it felt good to lend a hand and spread the workload between many helpers. At least one of the moms had made this trip a couple times already. Great programs need the participation of a lot of energetic families, and I am thankful to be part of a big, uplifting, caring drama family. The two women I helped today are two of several that I wish I had taken the time to get to know better. They are worth their weight in gold and are two of many reason why I love this high school. It has been a pleasure, ladies!